Connecting our high powered vacuum to the system and running it continuously. The dust, dirt and other debris are then pulled by the vacuum outside. Since it is not pushed toward the registers, the process does not leave a mess in your home or office. 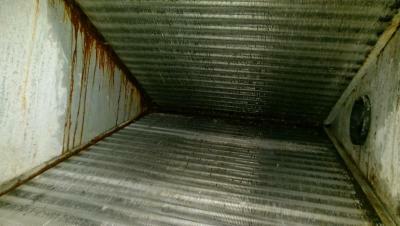 Each duct is cleaned with individual hoses and tools to loosen dirt and debris. Tools include brushes, snakes, whips and other specialized air movement devices. 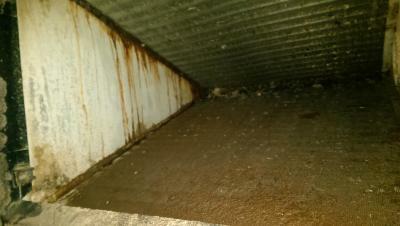 All grills, registers, diffusers, and plenums are cleaned as well during our process. After the ducts and internal components are thoroughly cleaned, we then deodorize the entire system with an EPA registered agent. Vacuum equipment that exhausts particles OUTSIDE of the home or office. Use well-controlled brushing of duct surfaces in conjunction with contact vacuum cleaning to dislodge dust and other particles in the system. We take care to protect your ductwork including sealing and re-insulating any access holes made or used during cleaning to ensure everything is airtight.